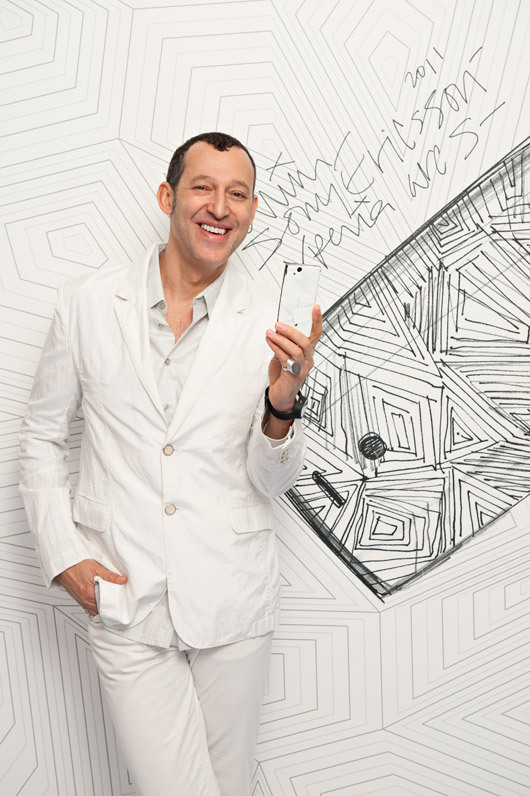 With opening night for IDS 2012 less than a day away, I wanted to check in with multidisciplinarydesigner Karim Rashid, the featured attraction at the Opening party on Thursday night. Having met him once before, I’m pleased to report that he’s as forthright and provocative as ever. Taking time from a busy schedule, he tells me what music you won’t find on his ipod, whichdesigner he feels is woefully under appreciated, and reflects on his Canadian roots. 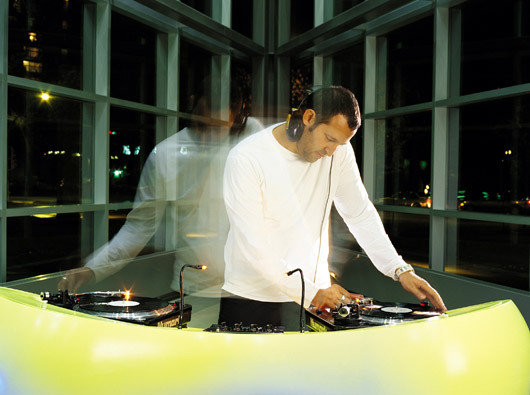 Meet Karim while getting your groove on at this Thursday night’s OPENING PARTY IDS 2012! Judith: What, if anything, has design taught you about music (or vice versa)? Karim: Design is not just relegated to the visual, but design touches all our senses and is the complete human experience. Music affords me to concentrate, be inspired, dream, imagine, and become completely engrossed in what I am working on. It is an essential part of my process. I find also that the technology for creating design and music are similar and both interchangeable. Judith: What’s an art form in which you see yourself as having the least talent? Karim: I always wanted to be a musician but had no talent. Hence it is probably why I ended up playing other peoples music as a deejay. I am not a good deejay either, but I only play special events, design weeks, and museums. My strength is finding interesting and unconventional music. I also cannot sing, and I wish I could so I am drawn towards beautiful voices like Bryan Ferry, David Bowie, Antony Hegarty, and others. 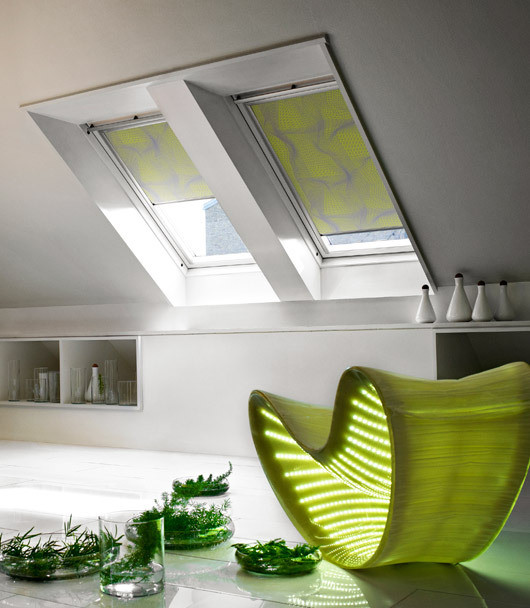 Karim Rashid’s interior design of the nhow Berlin, music and lifestyle hotel. His visionary style strikes a perfect chord with the building’s exterior, designed by star architect Sergei Tchoban, making the nhow Berlin one of the capital’s modern architectural and design highlights. Photo by Lukas Roth. Judith: Whose or what music will never be on your iPod…and why? Karim: Well I have 2 160 GB iPods with about 45,000 tracks but I do not have any Gospel or classical. I know many would not understand but classical is just too old for me (and probably anymusic before 1974 is too old for me) — well I do have Philip Glass, but I do not consider him classical. I generally listen to everything from folk (Gordon Lightfoot) to country rock (Neil young and The Marshall Tucker Band) to dance music (Aeroplane) to electronica (Kraftwerk, Woolfy vs. Projections, Brian Eno) to pop (Crystal Castles) to reggae to industrial to freestyle to Italdisco, andplay an eclectic mix of electronic, deep house, ambient, nu-disco, downtempo, punk, ambient, and electrobeat. Karim Rashid’s interior design for the University of Naples subway station, Italy. Photos by Iwan Baan for M.N. Metropolitana di Napoli. Judith: How, if at all, have your Canadian roots informed your sense of design? Karim: I think my Canadian roots had more to do with my belief in having an expansive education, a broad view on life, and a pluralist attitude to the built environment. 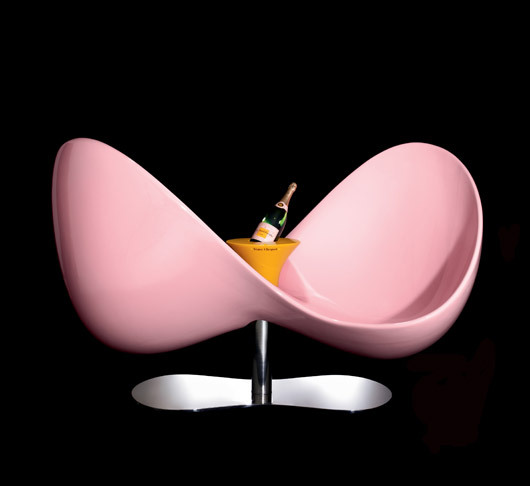 I loved the Italian product design landscape and all those products were designed by architects. I went to do post graduate studies in Italy with Ettore Sottsass, Gaetano Pesce, and Andries Van Onck for a special graduate program near Naples in Italy. I also took night classes with Achille Castiglioni at the Polytechnic and I interned with Rodolfo Bonetto in Milano, Italy. Judith: Who’s the most under appreciated designer in your opinion? Karim: Luigi Colani. He seems to fund his own organic experiments. I greatly respect his work and contributed to the book Colani – Back in Japan. He is widely known in Japan but his amazing biodesigns are lesser known in the west. The nhow Berlin hotel, interiors by Karim Rashid. Photos by Lukas Roth. Judith: How do you see the future of design? Is its influence growing, waning, or something of a constant in western culture? Karim: The culture of design has so much momentum. In fact, I think it is growing faster in Eastern countries. I find abroad, as opposed to the West, I have much more freedom, and the clients tend to be more open to challenging the boundaries of design. In all the countries I work in, however, they are coming to me because they are seeking my style, so aesthetic tastes are alike on some level. In Korea their aesthetic is very fresh, young and playful. The West has very staid ideas of what is quality and many of the emerging markets are willing to grow and expand with new ideas of design. Judith: What’s the best movie you’ve seen in the last year? Karim: That is a really difficult question. I am torn between Amores Perros, Biutiful and Gomorrah. Judith: If you could take up another profession at this stage of your life, what would it be? Karim: When I was a child I wanted to be a mathematician if I was not a designer, but now I would consider being a musician or a motivational speaker. Judith: Do you mind being questioned? Do you prefer that your designs speak for themselves? Karim: Absolutely we should discuss design and the designer’s life. Good design needs advocates. It has been my mission to make design a public subject and to inspire the design community and the public to realize that design changes the world. Judith: How do feel about nostalgia? Where is its place in modern design? Karim: Certainly we all should have respect for our heritage, our traditions, and rituals, but not to hang on to them so sacredly that we don’t progress or develop new rituals. We must celebrate and see our world now; we need to be more prescient and flexible about how cultures change. It always struck me as very odd that we can continue to embrace traditions that become irrelevant to our world today. I say NO-STALGIA. Judith: The rule that form must follow function is now accepted as commonplace. Is there any risk to wedding form too closely to function? What about whimsy? 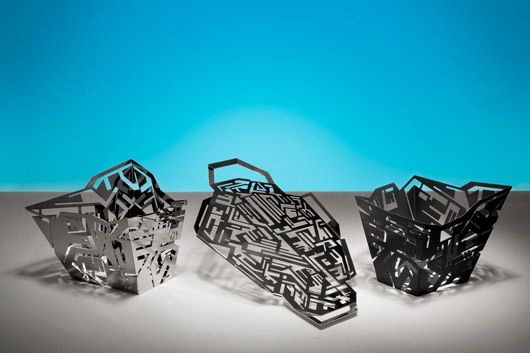 Karim: The future shapes will be inspired by each product’s subject matter but my interest is to make form as sensual, as human, as evocative, and as sculptural as possible, trying to find new forms that have never existed. I think whimsy may be essential to lighten or elevate our everyday lives. 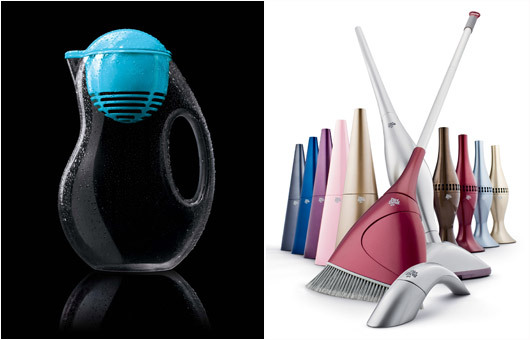 Bobble jug; DIRT DEVIL Family, all designs by Karim Rashid. 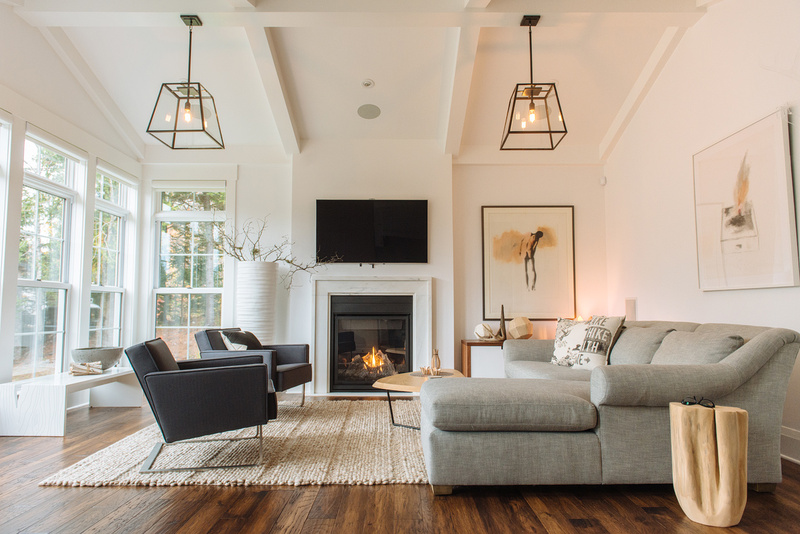 Judith: What, in your experience, is the most commonly under designed space in the home? Karim: Design has managed to penetrate every aspect of our lives so you can find well-designedkitchens, bedrooms, living spaces, bathrooms, etc. But I would say that we still seem to hang onto archetypes and conventions. So there are beautiful spaces and work in the world but sadly the design market is really only about 1% of the world’s market. My goal is to make it 10%. On Thursday, February 26th, the MTCC packed with 5,000 of Toronto’s design stars, celebrities, media personalities, and influencers, will be transformed into a fête of local and international pedigree. See overview of the night’s festivities.